I am opening this thread for newbie builders, Wannabe builders, and eye candy spectators. A lot of questions have been passed around and they are good ones, the problem is that they are dispersed within the site. 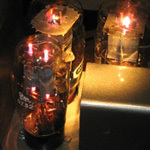 So I will attempt to consolidate them thru this thread, Such will allow us to have a permanent consolidated record of triode amplifier building concepts. I will skip a lot of parts that can be covered by further reading, I will only emphasize on key points assuming your indulgences and forgiving judgement. I will attempt to recreate what I have presented from the past sessions thru this thread. I will make it as layman as possible. Practically, let's follow this format. I will only have one rule, If you have questions or clarifications, open a new thread regarding that topic so as we do not swamp this thread and it will maintain it's virgin format easier for others to digest down the line. I eagerly await this, JM. If you need any help, let me know. I'll see what I can do. Thanks! Will surely need it down the line, am still in the process though of converting the docs and pics to the wired state format. ... ang bait mo naman sir, when will this be up?! JM, the password for the FTP access is with Arnold. Arnold, do you still have it? Me and francis are still trying to setup the ftp site so I can upload figures and graphics. Then it will be at least two lessons a week. Indulgence for your patience. francis, i have it but it was not for ftp, it is for ssh. arnoldc wrote: francis, i have it but it was not for ftp, it is for ssh. Will the FTP location be used indefinitely by the phBB or will it access it only once? I intend to write two sub topics a week which means, I want to post graphics on the fly. I have a set of gifs and jpegs to paste but some of them I have to draw yet on corel or visio (like circuits). I want more flexibility to change it any time during the session's course. One option is that I will email everyone an HTML email with the graphics, that will not feel like pulling teeth but it takes the whole thing offline from wiredstate. jm, your requirement is not appropriate for a forum. you need a web server with document/content publishing built-in. you can use the forum, but you might be spending more time formatting it, rather than developing content. if your documents are on microsoft office formats, it will be a snap publishing them on such a server. imho. ps. if you know how to use frontpage, you know what i mean. if okay with you, just forward the completed docs to me and i'll have someone figure out how best to get it accessible to pinoydiophiles. or as what i think you plan, just use the forum topic as one subject topic. as the author you can always edit it anytime. i can also set the security as read only to others. so it's not corrupted. we can then keep your 101 docs at the archives and flag it as a sticky! btw, we have about 500mb of server space for wiredstate hosted by OLM in the USA. thanks for your effort in sharing your genius and expertise with everyone! think about how difficult it will be to navigate topics, references, figures, etc. in a forum format, changing them from time to time as well. here's what i will offer you both: in wiredstate, not in forum format, but in rich document format, you will have the read only online tutorial with separate discussion (of course in forum format). so where will it be? in the wiredstate frontpage. to give you an idea, look at www.esato.com, it has a news section, resources section, discussion section (the forum), etc. in order for me to put this inside wiredstate, i will need the password from francis. what password do you need? You'll have to do the html on this, upload the files & provide links. Is the FTP up an running ?